I would not be able to do "What I do" with out a great support team! Thanks to all my sponsors! Our goal has been to become the premier Multi-sport coaching provider in the Delmarva area. With well over 12 years of coaching experience & 6 years of pro racing, TriCoach's knowledge/experience will help any athlete reach their goals. Powerbar was my first sponsor back in 2000 and they have gone out of their way to help me reach my goals! Great company with great people. I would not have had the success I've had with out them. I use all Power products in my Ironman nutrition plan. I was a Lake athlete when I focused on ITU Duathlon racing. Now that I am back racing professionally, Lake has picked me back up as one of their athletes. Lake has great cycling shoes and that is why I continue to wear them in my racing and training. 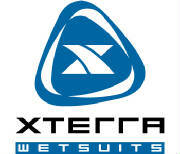 Xterra is a long time sponsor, I'll been with Xterra since 2003. They makes some of the best wetsuits on the market. You can find a great wetsuit options for your experience level at a great price. Speed suits are also a great option for non-wetsuit swim races. 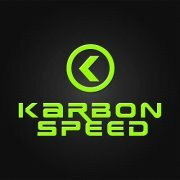 A new company that is looking to put out the best race wheels on the market. Finally a good product that is affordable! I will be racing the 88mm Carbon Clinchers in 2013.